Yes that's right, it's March and we decided to go hopping mad and give away $$$$$s of value to all clients ordering EZIPOPs in the month of March 2014. Here at head office, we talked about coming up with an introductory offer to incentify new clients to try our innovative brochure holders. 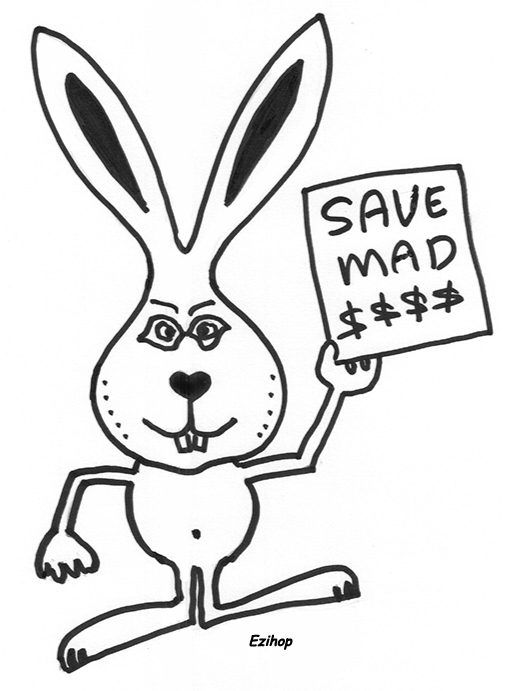 Then out of the blue, a mad idea surfaced: Just for the month of March, why not have a Mad March Sale that's open to everyone? (Offer applies to Australian customers ordering in March 2014 and for delivery within Australia by end May 2014). Want to take advantage of this offer? Just go to our Get a quote page, mention this Mad March offer and we'll hop back to you real quick with a deal that's sure to please. *We'll reduce the price to you by 9% so the 10% GST on our standard prices is wiped out.